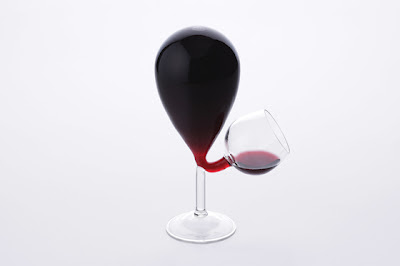 John B pointed me to this interesting wine glass designed by Kyouei Design. Looks magnificent to me! Should it even work? You'd think the wine would all flow out of the tank, but the description says it doesn't overflow due to air and water pressure; the glass maintains a constant amount of liquid. I would love to see one of these in action, though I don't think I'll be owning one any time soon, as they cost 29,800 Japanese Yen, which is roughly $375. Perhaps when I'm enjoying my $168,000 Ampoule of Penfolds. 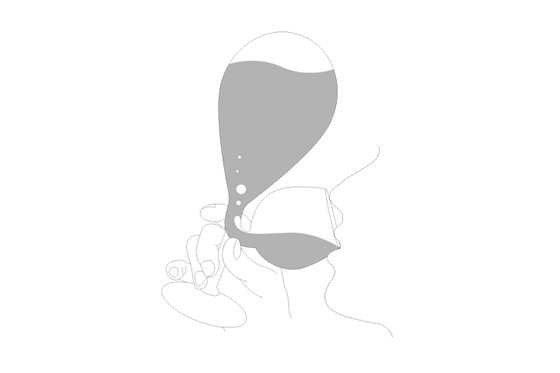 Ted brings up a good point though: It may be hard to smell the wine, let alone swirl it.